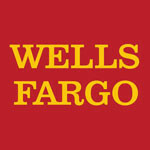 Thanks to Wells Fargo for their generous support of our NeighborWoods program. Our goal is to give away approximately 150 trees to residents of the Avensong neighborhood. Residents are invited to come out, learn about trees and take a few home to plant. TreeMasters will be on hand to demonstrate proper techniques for planting and maintaining trees. If you are a resident of Avensong and would like to sign up for trees, please click here or the “Get Trees” button at the top of the page. Deadline to register for trees is Friday, March 3. TreeMasters, if you would like to volunteer at this event, please click here.